SYRACUSE, N.Y. — The Syracuse Common Council on Monday approved a bill to amend the existing Syracuse Fair Practices Law — which was passed in 1990 to outlaw discrimination based on sexual orientation — to include gender identity and expression as protected categories. The measure, approved by a 7-1 vote, expands the local civil rights law to protect transgender and gender non-conforming residents from discrimination in employment, housing and public accommodations, such as restaurants, hotels and stores. According to the Syracuse Post-Standard, as council president, Robinson did not vote, but took the opportunity to talk about his experiences as an African-American man in the 1950s, 1960s and 1970s. Robinson said he remembered being denied the right to eat in restaurants, learn in certain schools or work at some companies and knows the pain of name calling. Barrie Gewanter, director of the New York Civil Liberties Union Central New York Chapter today applauded the council’s vote. “In passing this legislation, the Common Council has reaffirmed our city’s commitment to respecting the civil rights and basic human dignity of all residents,” Gewanter said. “Nobody should be denied service at a doctor’s office or fired from a job because of the way they express their gender. 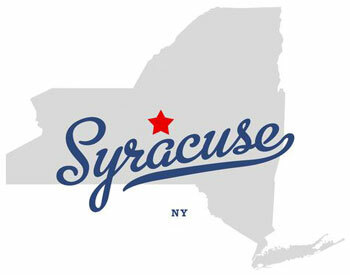 We applaud the Common Council for closing this gap in local anti-discrimination laws across upstate New York,” he said. The passage of the Syracuse bill, which was sponsored by Councilor at Large Jean Kessner, builds additional momentum for the this statewide measure, known as the Gender Expression Non-Discrimination Act (GENDA). The New York State Senate has effectively blocked consideration of a statewide law that would explicitly prohibit discrimination against transgender and gender non-conforming people. With the passage of this legislation, every large city in New York State has enacted basic civil rights protections for transgender and gender non-conforming residents and visitors. Buffalo, Rochester, Albany, Binghamton, Ithaca, and New York City — as well as Westchester, Suffolk, and Tompkins counties — have similar local anti-discrimination laws.